Antonio Piscopo Co. ltd offers its customers wine and food gift hampers during the Christmas season, hampers can be bought instore as well as online. 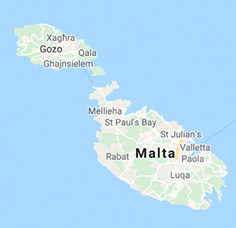 Customers living abroad also have the facility to purchase one of many gifts online and items will be delivered to their family and friends living in Malta & Gozo. For more information kindly visit our website or contact us directly through the email provided. For more information please visit HERE and HERE! Make your trip to Gozo truly memorable. Visit Savina Creations Limited and get all the tips you need before setting off to explore the Island of Gozo. At Savina you will witness food in-the-making of a vast range of products produced here, from home-made chutneys, honey and jams to olives, antipasti, pickles, patés, tea and coffee. The recipes are typically Mediterranean and a feast for your senses. Savina’s products make excellent gifts to take back home – either for friends and dear ones, or simply to enjoy yourself! A selection of Christmas hampers is already available, however, there’s nothing quite like a bespoke, fine food hamper with over 150 exclusive items to choose from! We promise to excel in the creation of innovative and customised gifts that offer pleasure to our worldwide customers, drawing on Magro Brothers’ belief and expertise for providing quality, premium Maltese and Mediterranean specialties and make this for the benefit of the community at large. At the Savina Centre you will able to sample food and dairy products which are well-liked by both locals and visitors. If you have any questions, you can ask the staff as they are very knowledgeable in their work, and obviously you may also opt to take a product home with you to remind you of Gozo's tastes and traditions. The Centre is just a 10-minute drive away from Mgarr Ferry Terminal; follow signs to The Magro Food Village.